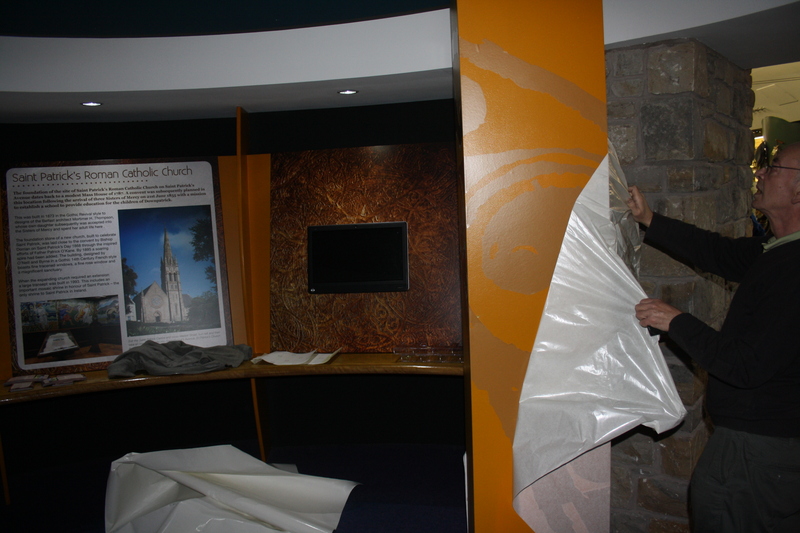 Happy to say we have successfully finished a signature project for Oin Interactive, our first ever Graphics Installation at the Saint Patrick’s Centre , Downpatrick, Co Down. just got the last few things finished yesterday. 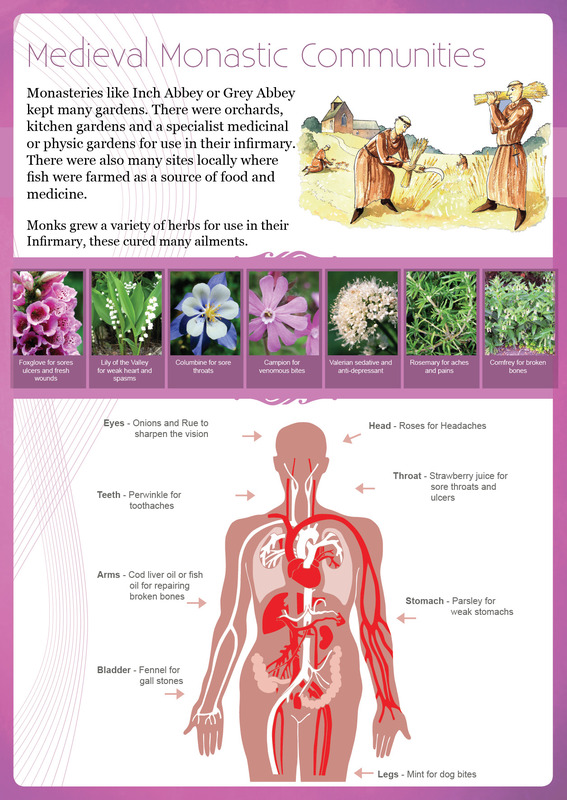 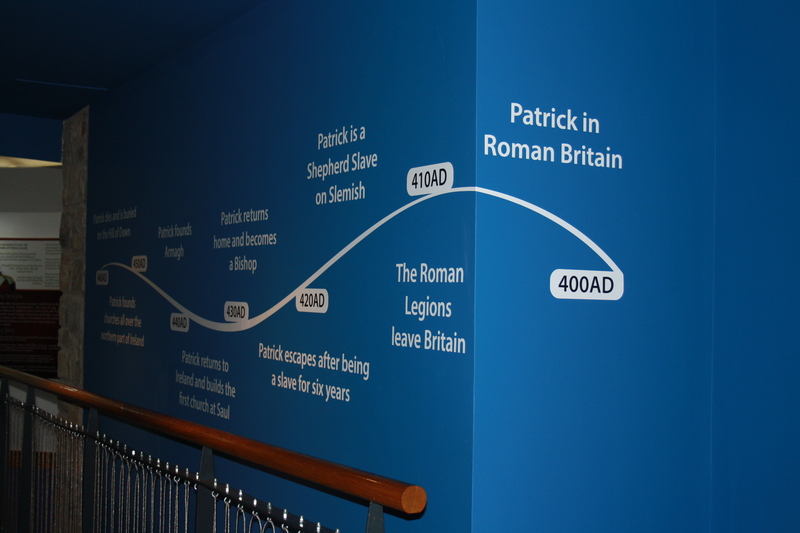 We worked with public sector organisations to source information and gather images, this was priceless to design new boards that were as informative as they were a pleasure to look at. 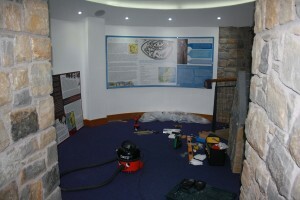 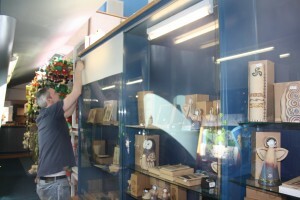 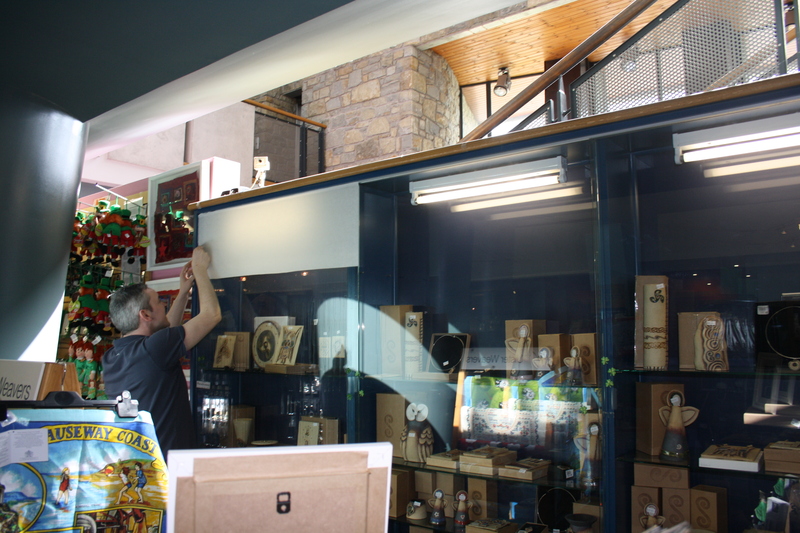 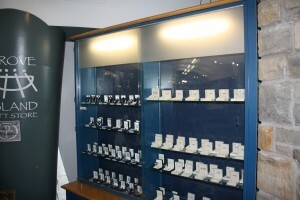 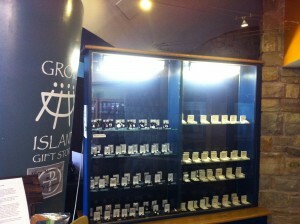 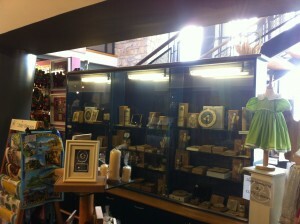 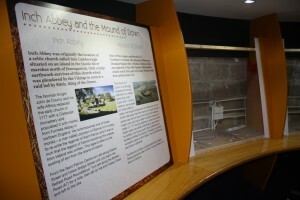 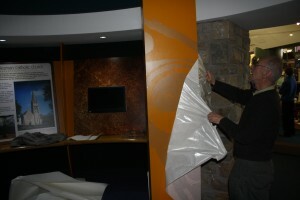 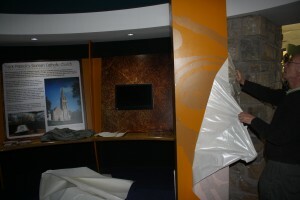 We also used a very high quality printer in Belfast, to print our designs before installing the whole lot. 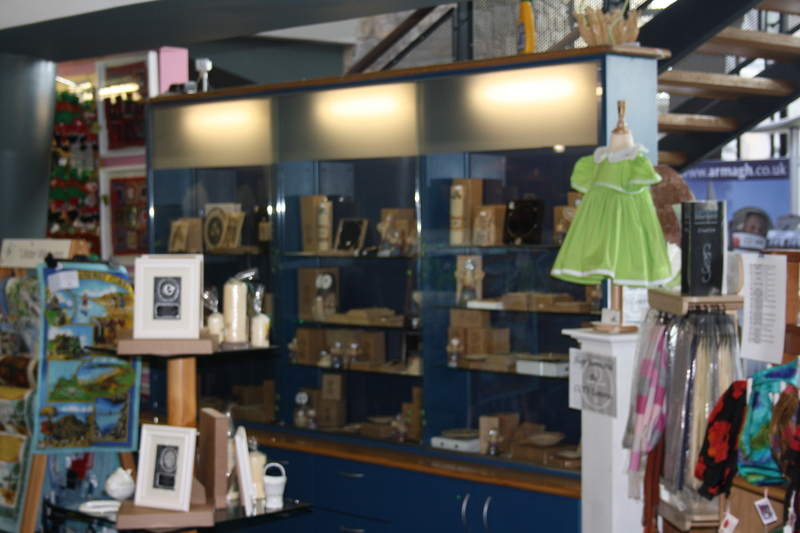 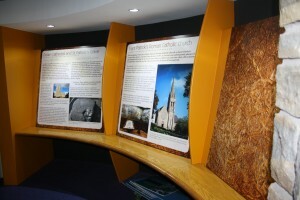 There were two large circular rooms in real need of a facelift, the centre attracts over 1 million visitors a year and needed a graphics boost to keep the place looking fresh and modern. 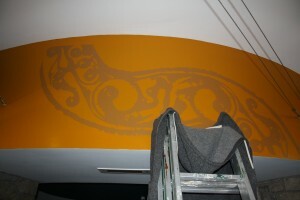 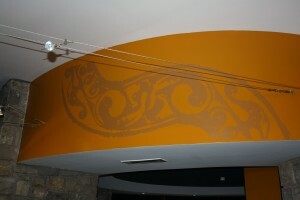 The old artwork was worn and washed out looking. 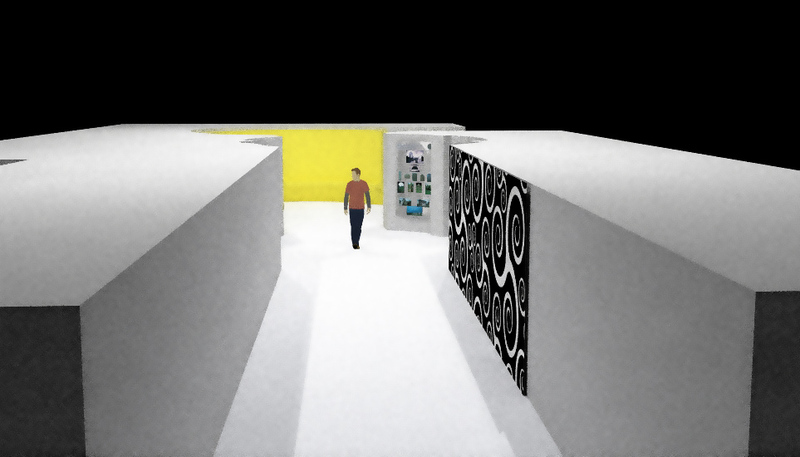 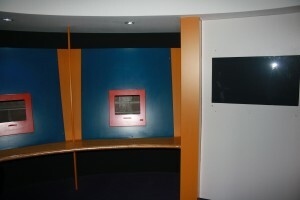 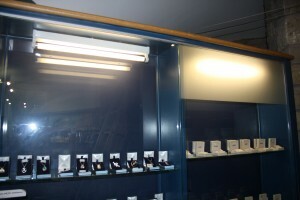 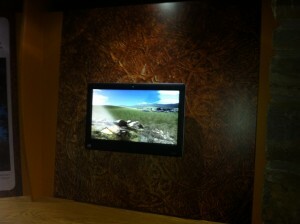 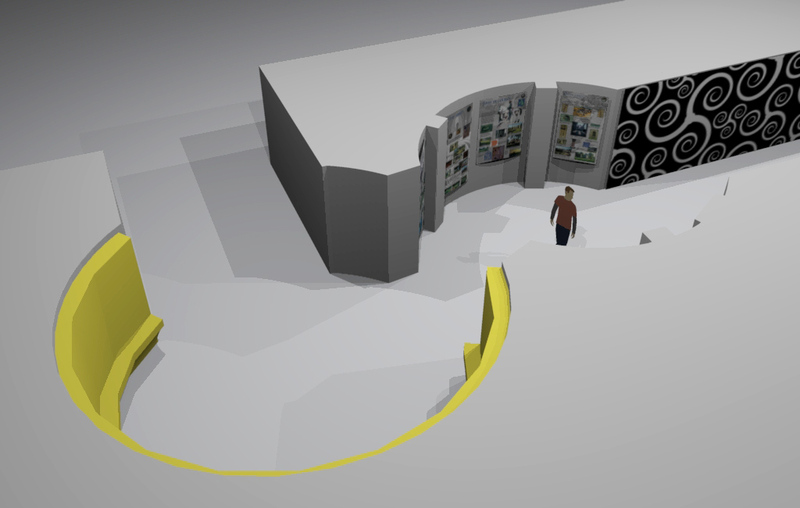 The first room would need 5 panels, mounted on 5mm flexible printable materials, with corner mounts finished in chrome. 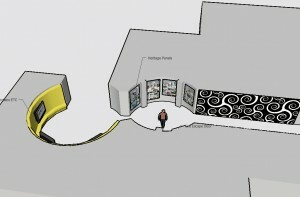 We planned, researched and developed 5 Panels for the first room. 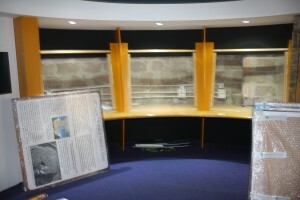 This involved contacting museums and collecting images and research from lots of sources. 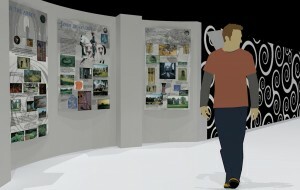 There we numerous site visits to take measurements and review artwork along the creative process. 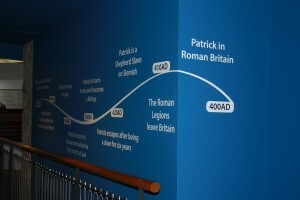 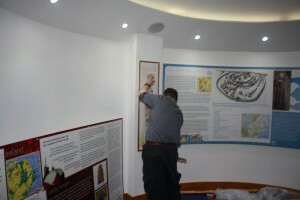 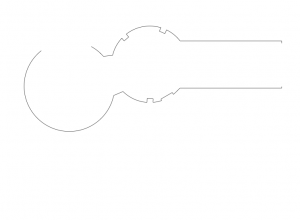 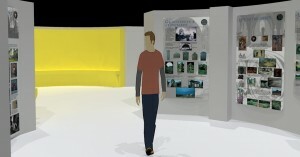 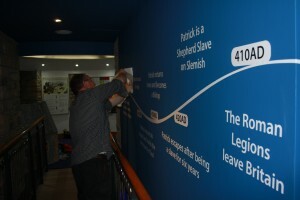 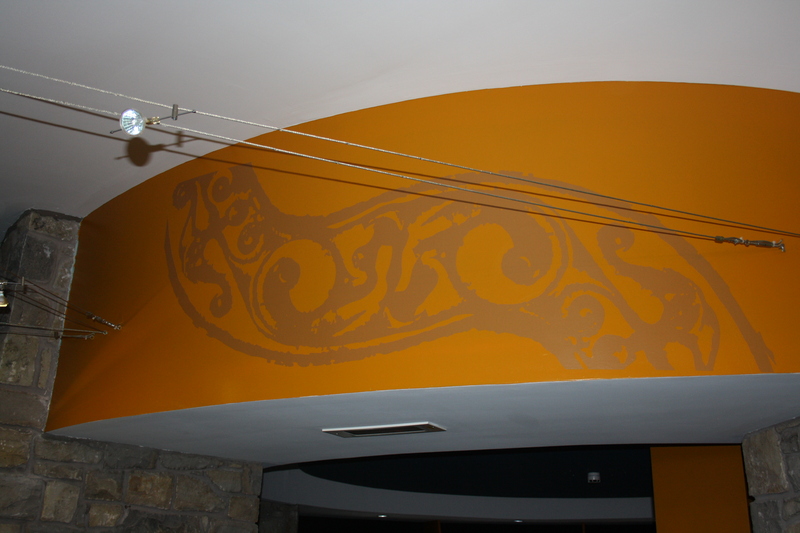 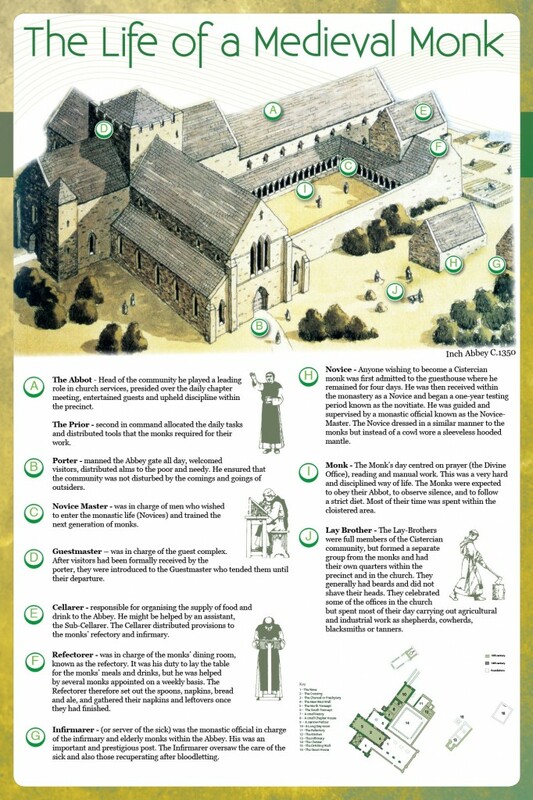 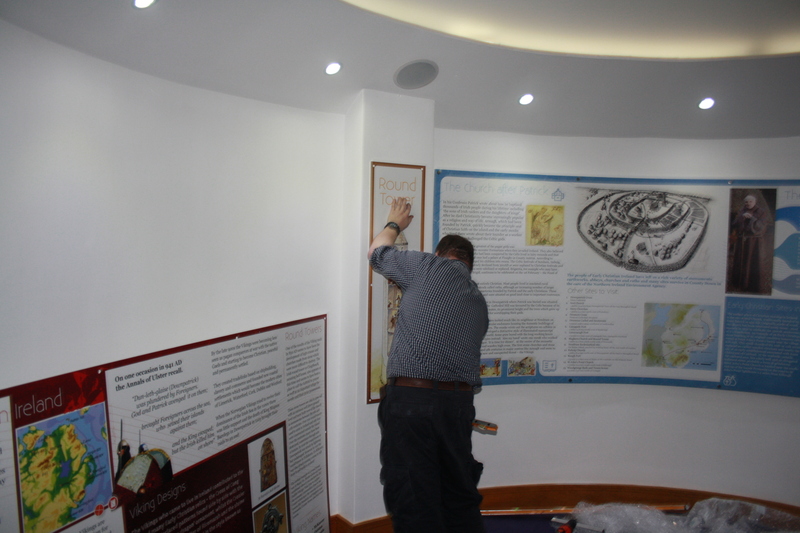 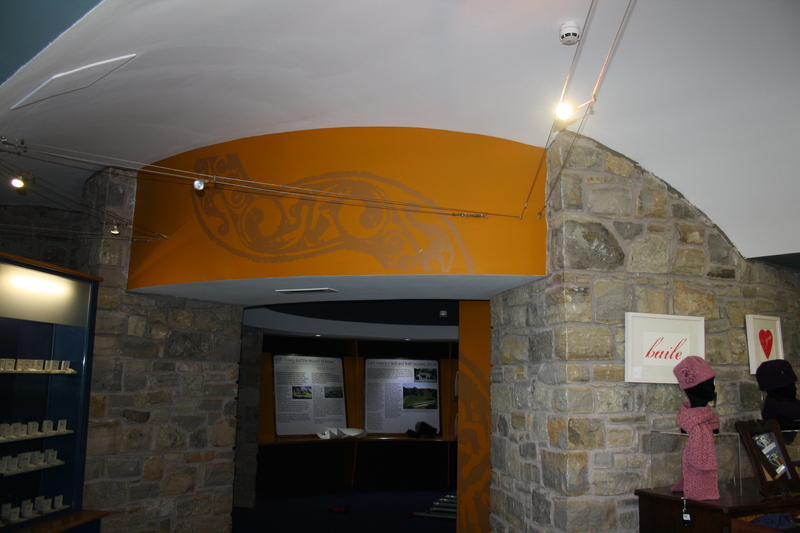 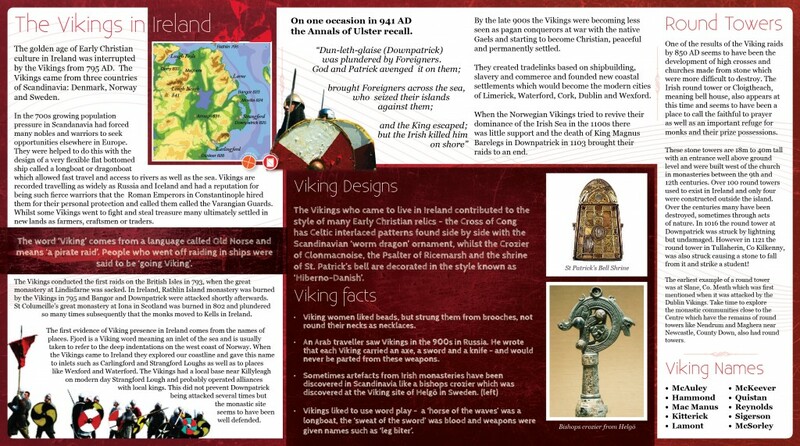 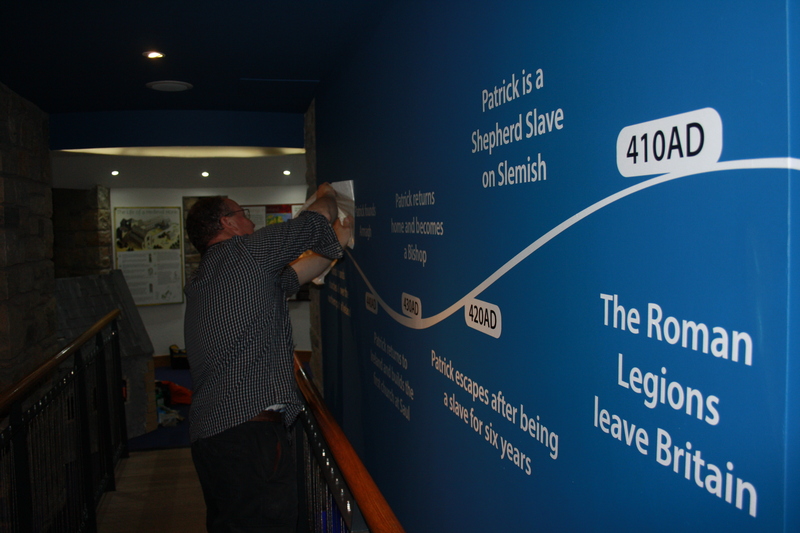 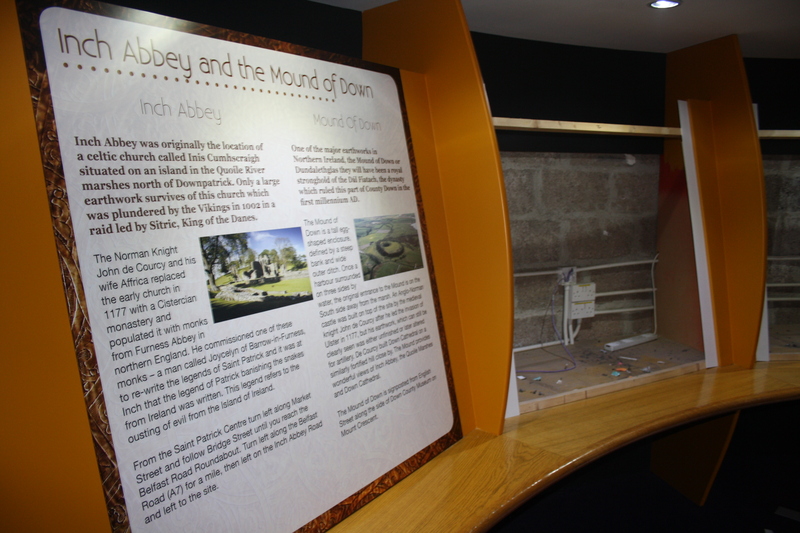 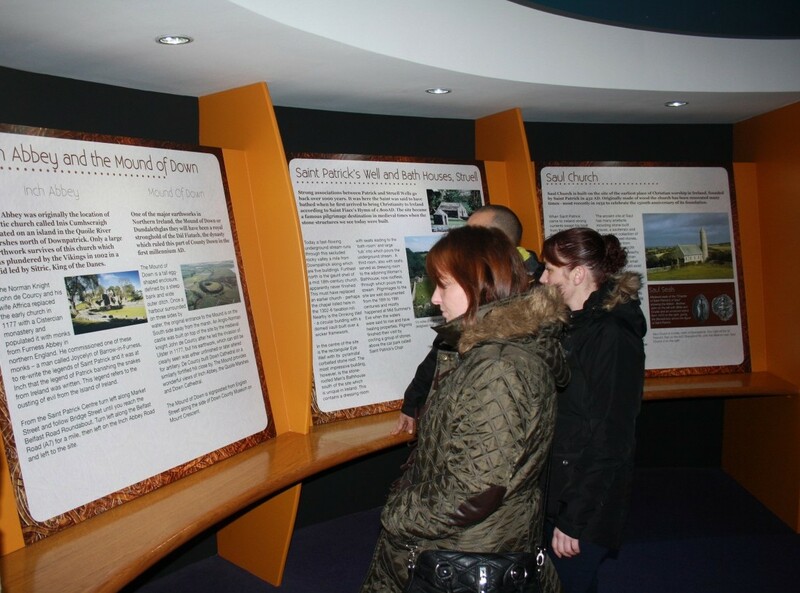 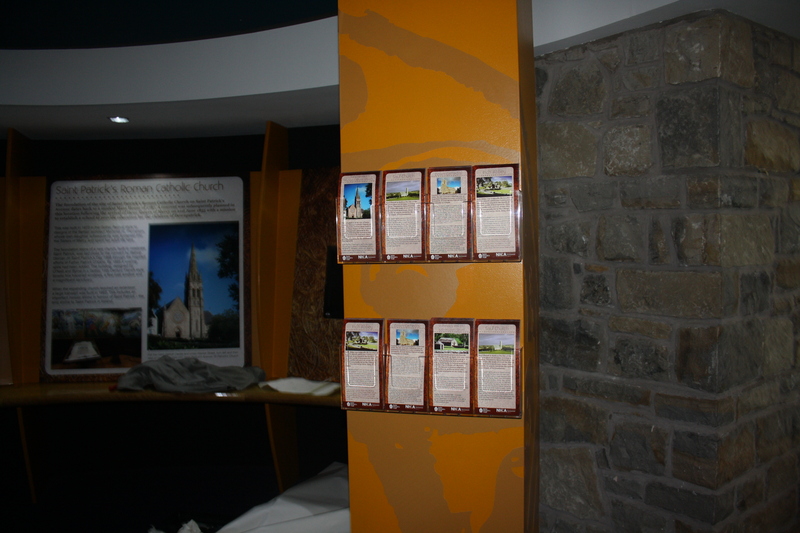 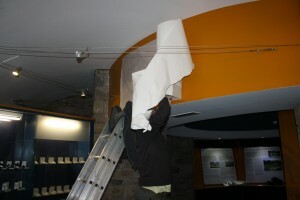 When a tour group visits the centre they are treated to an IMAX experience, upon exiting the IMAX theatre, now, visitor will see a striking new time line vector cut out on the wall, this shows off the time line of Saint Patrick’s Life. 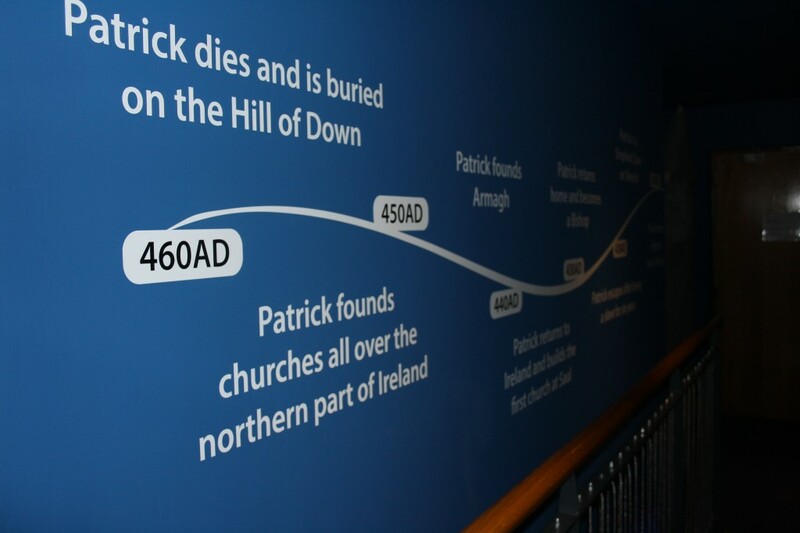 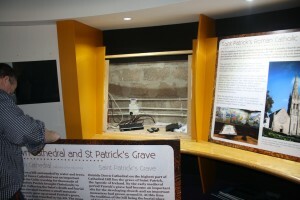 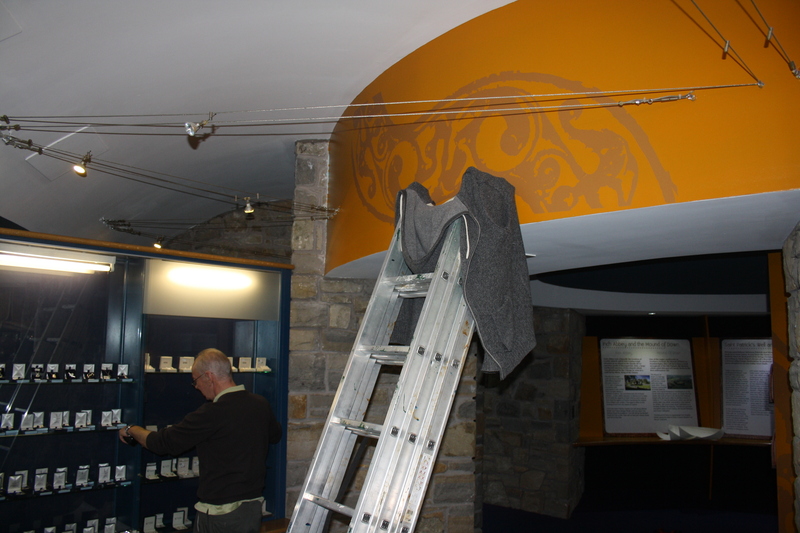 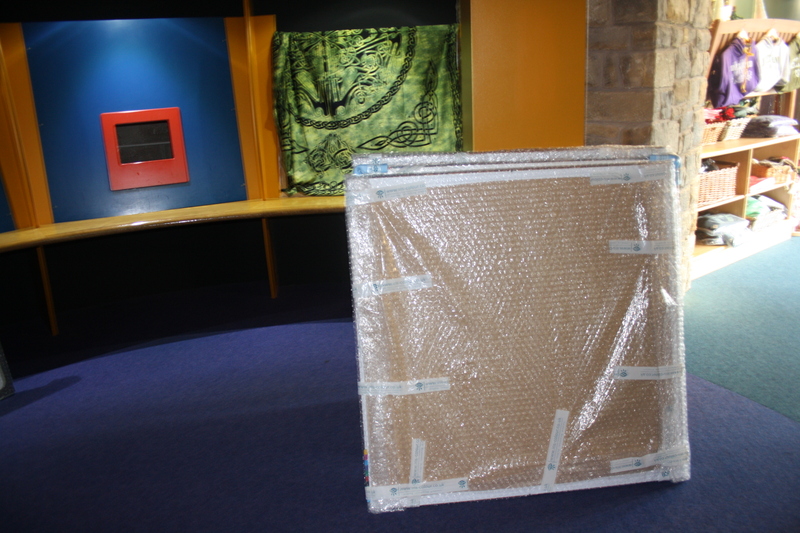 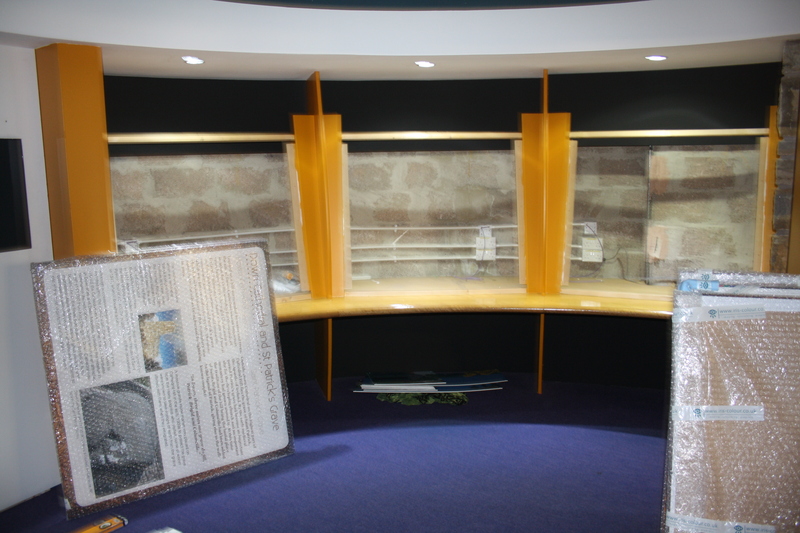 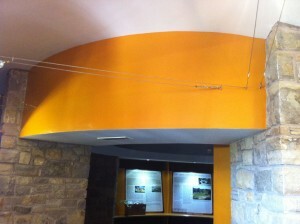 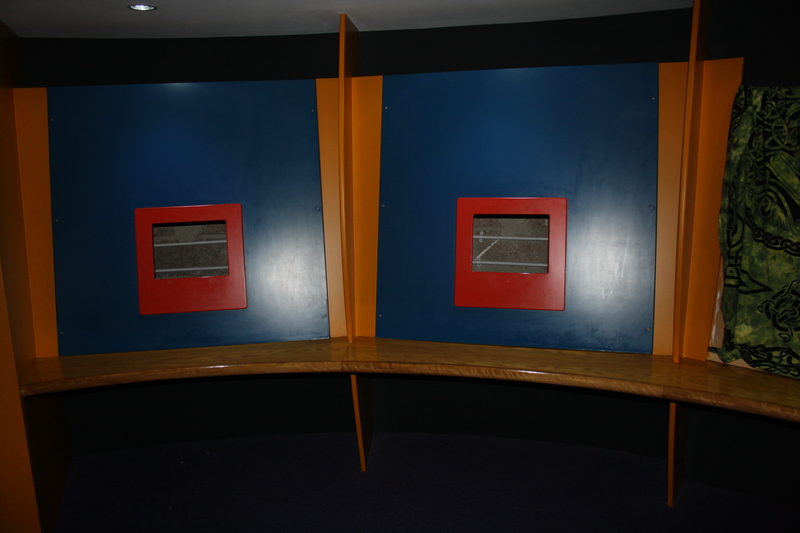 This is meant to be a feeder to the next room where there are 5 panels for the various periods in time during which Patrick had an influence on Life in Downpatrick. 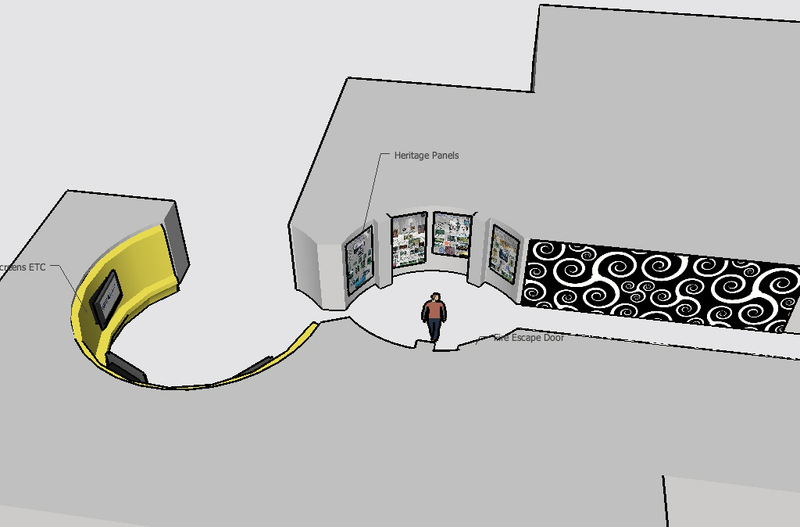 By making a 3D model of the area, we are able to plan ahead what the new graphics will look like and provide examples of how the finished product will look. 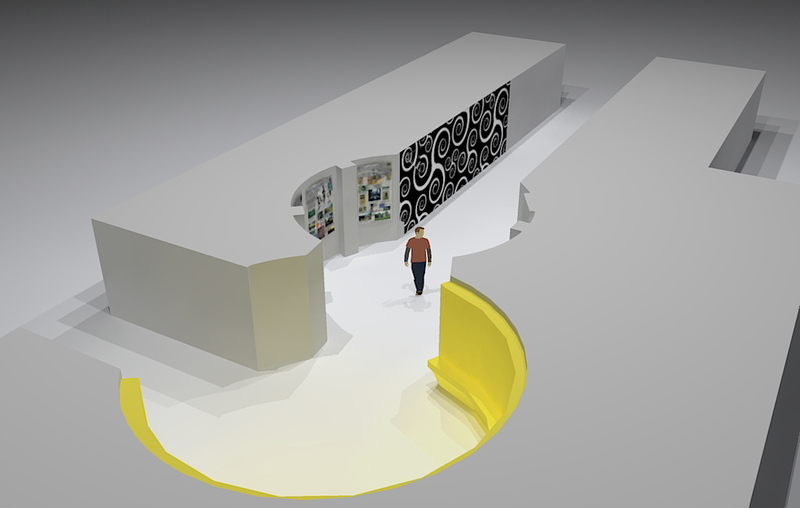 This also allows us to view the project from any angle and illustrate to the client what exactly we are doing. 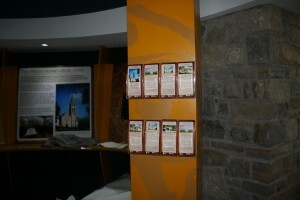 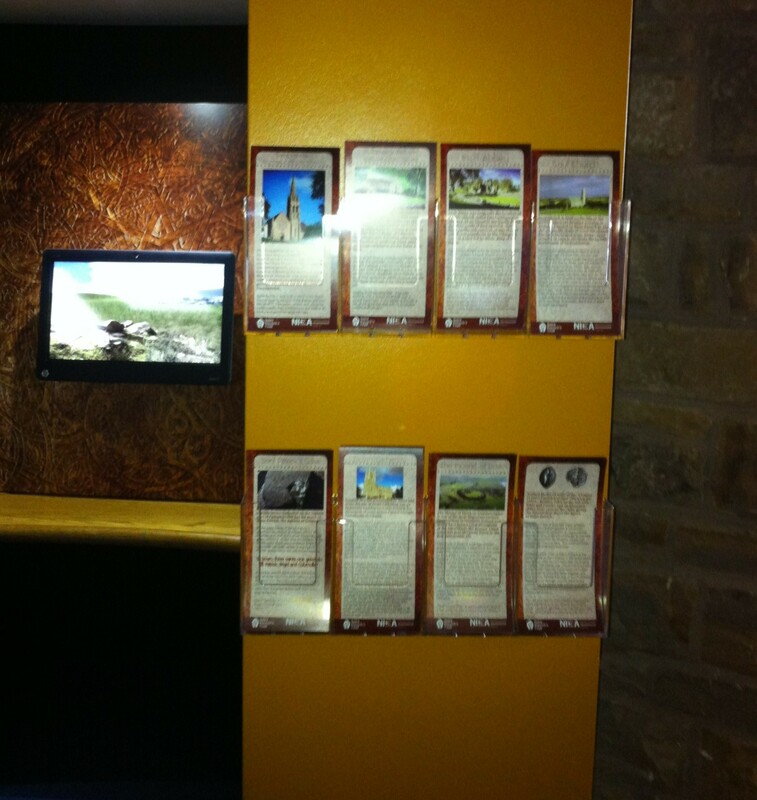 We printed and installed 25,000 flyers and installed flyer holders which give a nice finish to the job. 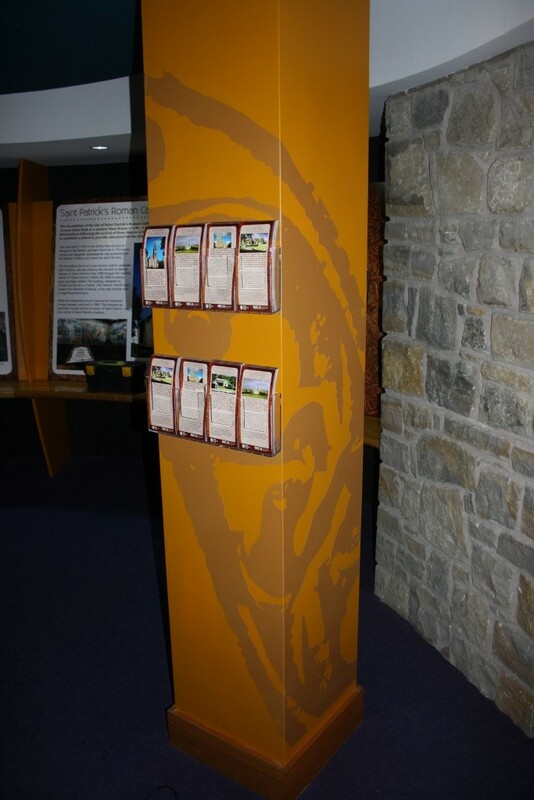 The pillar that held the flyers had to be wrapped in vinyl and then the holders could be installed and filled with nice leaflets about the local area and things to visit. 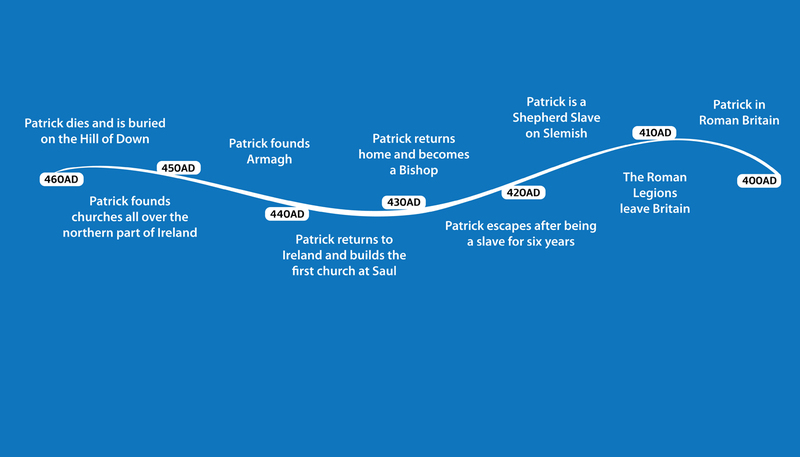 Our designers created this simple but illustrative time line to show, Saint Patrick’s life journey, a lot of people will find something out about saint Patrick they didn’t know before. 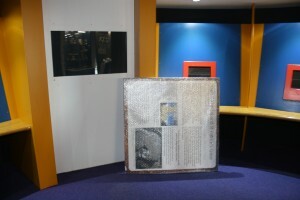 This is only a plan the next image shows what it looked like after being printed and installed. 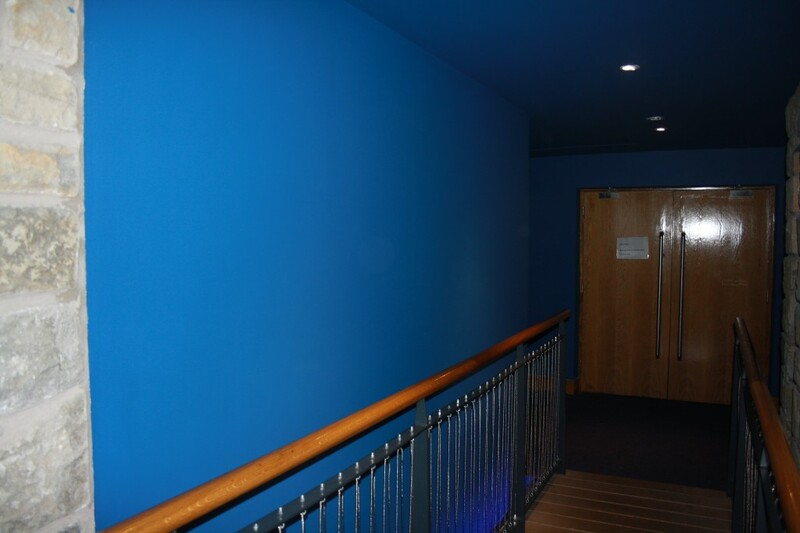 You have to keep the design simple so that it can be lathed out of the vinyl printing process creating a clean simple installation and great finish to the blue walls. 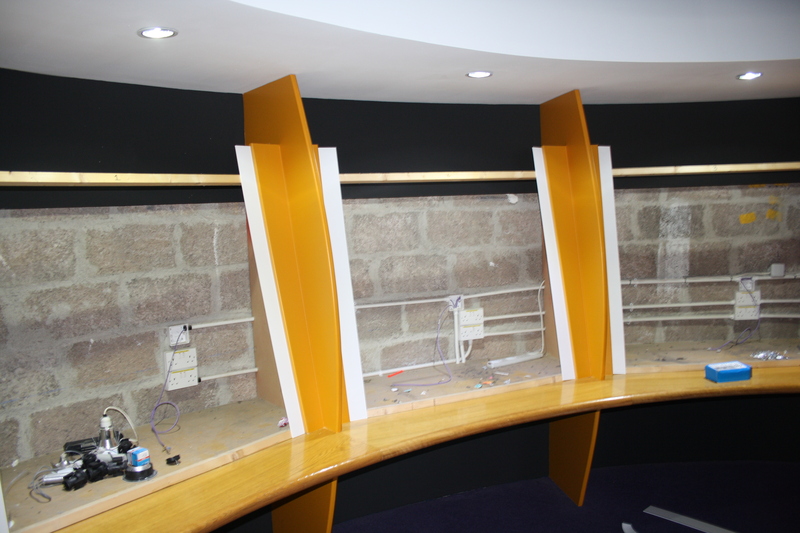 This room was a lot more complicated, in previous years this room housed 6 touchscreen devices, but after year on year of technological development these machines get old and need maintained. The decision was taken to remove the slots that housed these computers filling in with a new piece of MDF wood. These new pieces of wood were wrapped in vinyl plastic wrap.